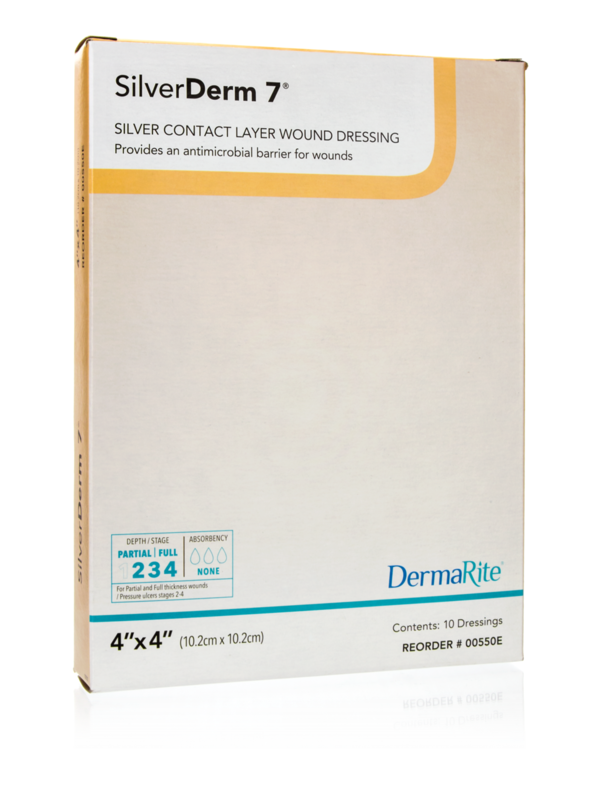 SilverDerm 7® Antimicrobial Wound Contact Silver Dressings are sterile, porous, non-adherent, knitted nylon dressings plated with approximately 99% elemental silver and 1% silver oxide. 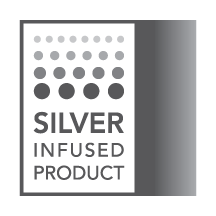 SilverDerm 7 delivers antimicrobial silver ions in the dressing when activated by moisture. 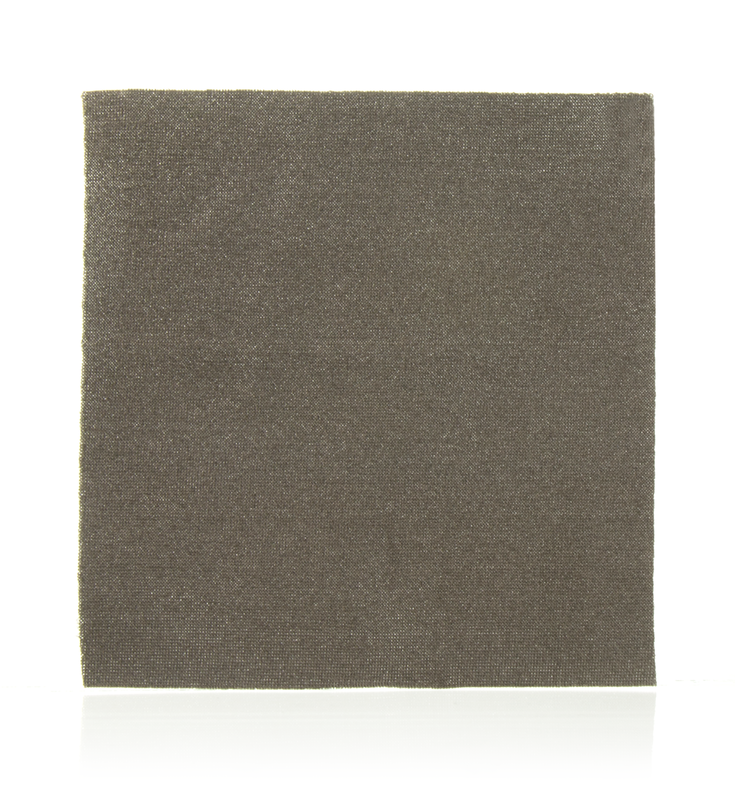 The silver ions kill wound bacteria held in the dressing and provides an antimicrobial barrier from bacterial penetration which may help reduce infection. 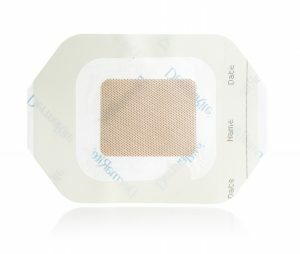 Kills wound bacteria in the dressing. Control of wound bacteria may reduce the risk of wound infection. 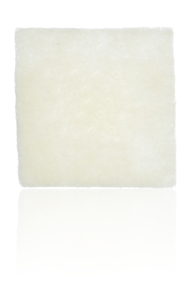 Reduces pain during dressing changes. May be used for up to 7 days. 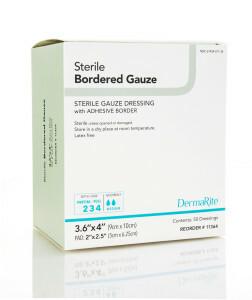 Categories: Wound Care, Contact Layers, Silver Dressings.